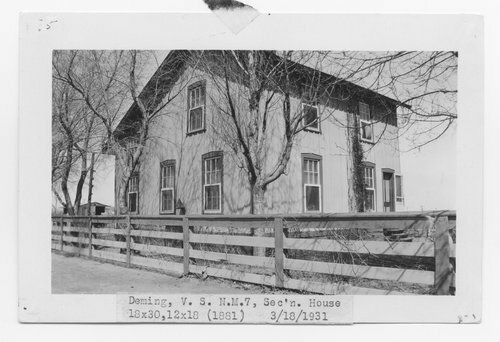 This black and white photograph shows an Atchison, Topeka & Santa Fe Railway Company's section house at Deming, New Mexico. The photograph also shows a fence and an outbuilding. Built in 1881, the building measured 18' x 30'.